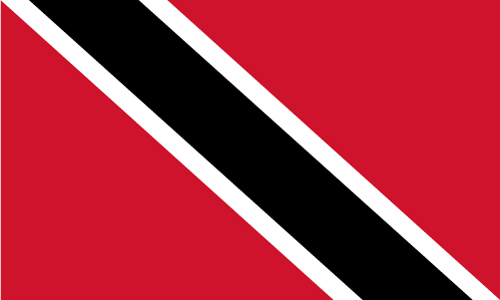 Are you interested in doing business in Trinidad and Tobago? Are you interested in taking a trip to Trinidad and Tobago? Are you of Trinidadian heritage and living, working or visiting Cleveland or Northeast Ohio? Submit your Cleveland Trinidadian news and events. Submit your Cleveland Trinidadian organizations and resources. Submit your Cleveland Trinidadian jobs, classes and other opportunities. First colonized by the Spanish, the islands came under British control in the early 19th century. The islands' sugar industry was hurt by the emancipation of the slaves in 1834. Manpower was replaced with the importation of contract laborers from India between 1845 and 1917, which boosted sugar production as well as the cocoa industry. 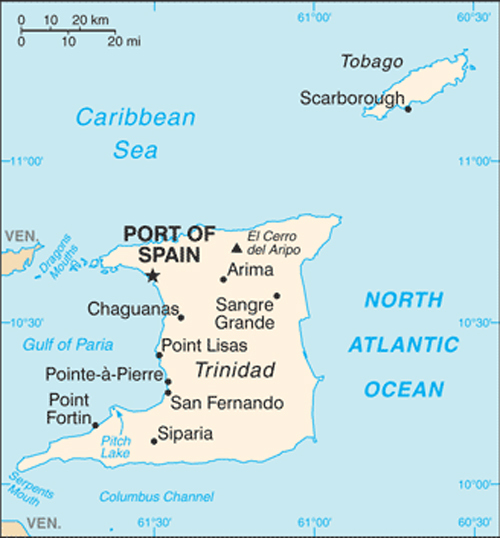 The discovery of oil on Trinidad in 1910 added another important export. Independence was attained in 1962. The country is one of the most prosperous in the Caribbean thanks largely to petroleum and natural gas production and processing. Tourism, mostly in Tobago, is targeted for expansion and is growing. The government is coping with a rise in violent crime. Tell us about the music, food, holidays, traditions, costumes, language and other qualities that makes people from Trinidad and Tobago so special. Submit your Cleveland Trinidadian cultural items. Read more about the Trinidadian and other Ambassadors. If you are interested in being considered to be an official ClevelandPeople.com Ambassador to the Cleveland Trinidadian community, please contact us. If you want to reach the Trinidadian community in Cleveland and Northeast Ohio, please contact us.